2 of our students, Manjunath and Rajshekhar, who have just graduated from Junior College with good marks ( 76% and 82% respectively) are very keen to do a degree in Hotel Management and enter the Hospitality industry. This is a 3 year degree program offered by a few colleges in Bangalore such as the Presidency College of Hotel Management. Both students come from families that cannot afford the fees for this program, which works out to Rs.1,75,000 per student across the 3 years. 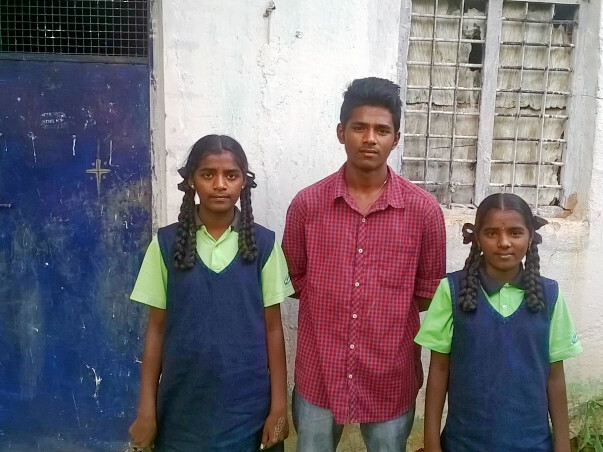 This campaign aims to raise funds for Manjunath and Rajshekhar, such that they might go onto college and equip themselves with the skills they need to get good jobs and bootstrap themselves and their families out of their poverty.